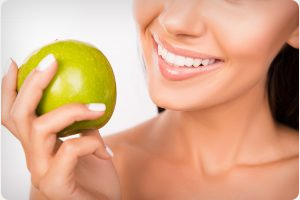 When discussing your orthodontic options, your St. Louis, MO, orthodontist might refer to an “ideal bite,” but what does that really mean? Here’s some insight into what your smile should optimally look like and how braces or Invisalign can help you get there. First things first: there is no such thing as a perfect smile. Your grin is the culmination of a whole host of factors including the number of teeth you have (most adults have 32), how those teeth are shaped, what size teeth you have, and the shape of your natural bone structure. When your St. Louis orthodontist talks about an ideal bite, they’re referring to a combination of what’s ideal for you and what is considered ideal in the world of orthodontics. Are the midlines of your top and bottom teeth in line with each other? Do your teeth line up in a harmonious and aesthetically pleasing way? Do your teeth fit together like gears or are they butting heads? Are your teeth lined up properly or are they fighting for space? Do your top teeth overlap your lower teeth or do you have an underbite? In the pursuit of the so-called perfect smile, you may have encountered a few myths. One popular assumption is that your teeth should all be the same length, but a gently contoured tooth line actually lends a more natural appearance. The same is true about teeth that are in perfect alignment. That kind of precision may not be possible due to your unique bone structure and tooth shape, but more importantly, it’s not even necessarily what you want. Your smile should be unique to you and comparable to no one else’s. Are you ready to embrace your ideal bite? Make an appointment at Borello Orthodontics with your favorite St. Louis, MO, orthodontics office and learn how braces may be able to help you achieve dental excellence. This information is not meant as medical advice. It is provided solely for education. Our St. Louis orthodontics office would be pleased to discuss your unique circumstances and needs as they relate to these topics. At Borello Orthodontics in St. Louis, Missouri, MO, we take pride in providing you with the best orthodontic treatment options with cutting-edge technology. With Borello Orthodontics, you can enjoy traditional braces or discreet treatment options, such as Invisalign, braces behind your teeth, and clear braces! During your 100% complimentary Borello Smile Assessment, Dr. Blake Borello with assess your or your child’s mouth. When you are ready, click here to schedule your Borello Smile Assessment which includes a comprehensive consultation, digital x-rays, and a complete oral examination. Call our St. Louis, MO orthodontics office at 636.628.2182 today!